Once more unto the breach, my friends, once more! Shakespeare immortalized Henry V with this popular quote in the eponymous play describing the events surrounding the Battle of Agincourt. 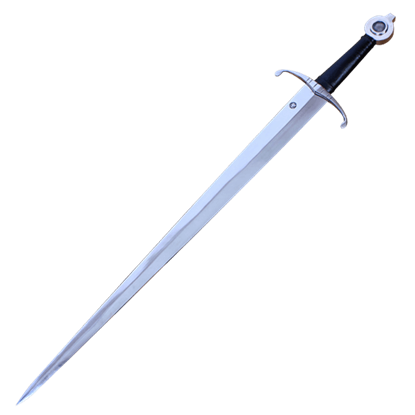 Henry V remains an important historical figure of the Middle Ages, making our Henry V swords at Buying a Sword great pieces for history enthusiasts and weapons collectors. Our Henry V sword replicas are modeled on the medieval sword wielded by this English king, a 15th century sword on display in Westminster Abbey. 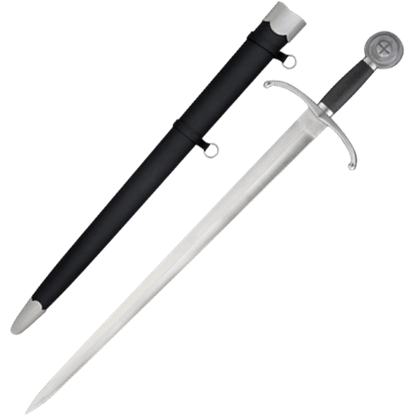 We offer excellent functional Henry V swords crafted from high carbon steel for re-enacting the battles of the patriot king. These historical swords possess authentic details that allow them to easily double as display swords for showing off in your home or office. 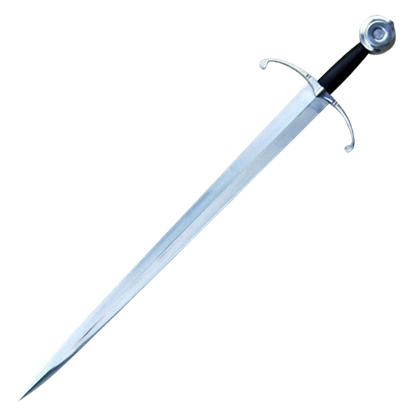 Browse for a moment, and you are sure to find an impressive medieval sword to take home.